sizes 2500pixels x 2500pixels 300dpi. You can use these elements in any graphics programme that supports the .png file extension, including Photoshop and Paintshop Pro. renders, including scrapbooking, and web design. 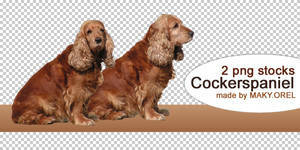 The dogs are painted at a high resolution and quality so that makes them great for printing. Great for printing onto apparel, or making greeting cards, stickers, fridge magnets, or presents printed onto many varied household goods. etc.. I used to breed, show and judge dogs and over many years took many photos with permission, and of my friends and my own dogs that I use as reference for my dog paintings. I also use many of my own pet photos too. I bought some photos as reference from www.warrenphotographic.co.uk/ the photos are well worth the money in order to get a good sharp image to reference.